Originally from Mexico City, by way of Los Angeles, California, Gustavo Ibarra moved to Tulsa in the 8th grade. Since then, he has lived in and been an active member of the East Tulsa community. Growing up, Mr. Ibarra's parents instilled in him the value of helping others. Holding true to those values, Mr. Ibarra helped out his community through the Boy Scouts and the Hispanic Student Association at OSU-Tulsa. 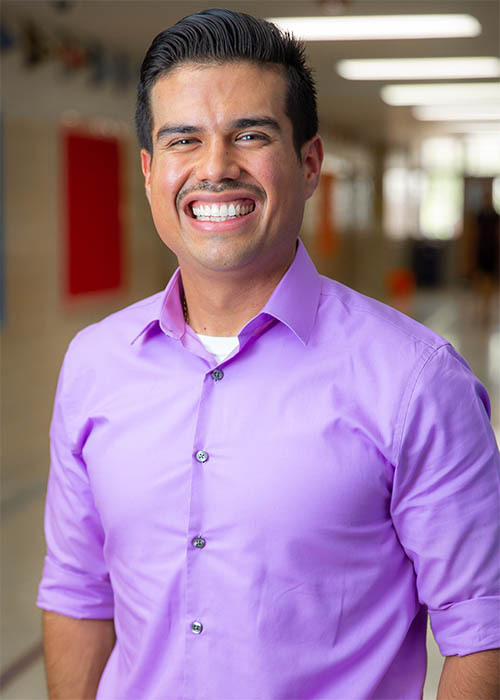 Mr. Ibarra worked as an Insurance Coordinator in the health industry for two years prior to joining the Tulsa Honor Academy team. In 2015, Mr. Ibarra became the Founding Office Manager for THA and quickly transitioned into the role of Director of Operations in 2016. He is now our Dean of Finance and Accountability. Mr. Ibarra graduated in 2011 from Oklahoma State University with his BS in International Business.